House Clearance Service In Durham Peterlee Seaham Sedgefield Spennymoor Stanhope Wheatley Hill Chester-le-Street. I would like to ask you about clearance of my deceased father’s house in Bishop Auckland. It is terraced property 2 bedrooms an attic and cellar,do your clear everthing from the property, including old pillows, duvets, old suitcases or wouId I have to hire a skip prior to your arrival? And a rough estimate of cost, and how much notice is required? Thank you. 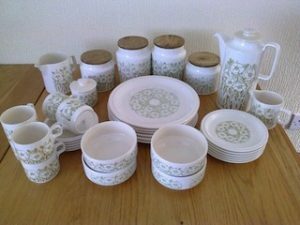 A large Hornsea Fleur patterned kitchen set, to include four canisters, a large teapot, two milk jugs, six triceps and saucers, a lidded sugar bowl, six dinner plates, six side plates and four bowls. 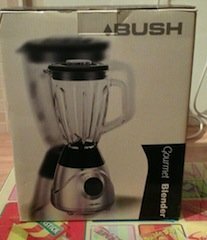 A brand new boxed, Bush stainless steel and glass gourmet food blender. 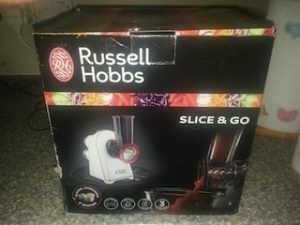 A brand new boxed Russell Hobbs stainless steel and red, Slice and go juicer and blender. 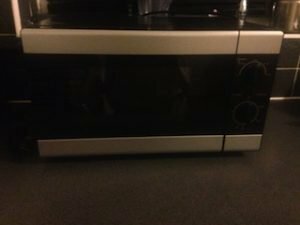 A black glass and stainless steel, Samsung 20L microwave oven. 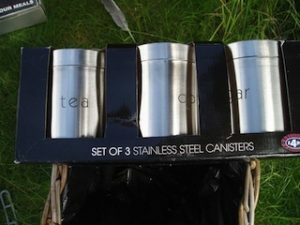 A brand new boxed set of three stainless steel cylindrical tea, coffee and sugar canisters. 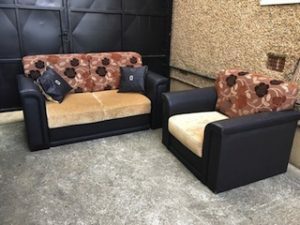 A two seater high back faux leather sofa and matching armchair, upholstered in camel velour and floral patterned fabric. 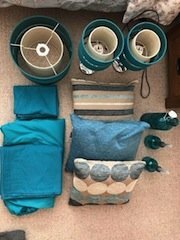 A large collection of teal bedroom accessories, to include a pair of bedside lamps, three cushions, three decorative vases, bedding and a lampshade. 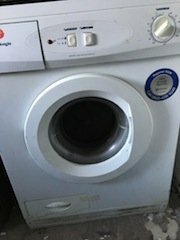 A space grey Hotpoint 8kg 1200 spin washing machine. 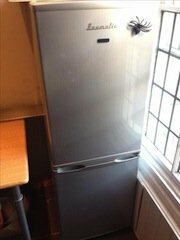 A tall standing Baumatic two door silver fridge freezer. A White Knight 8kg under counter condenser dryer. A five seater high back corner sofa on square legs, upholstered in black faux leather. 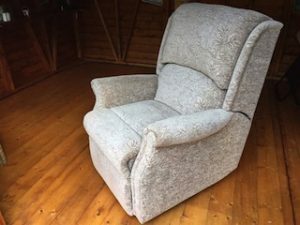 A high back reclining gentleman’s armchair, upholstered in grey leaf patterned fabric. 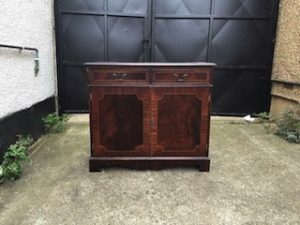 A vintage solid mahogany sideboard/ cocktail cabinet, having two drawers above a double cupboard, with cast iron handles. 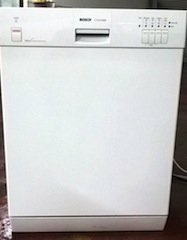 A white under counter Bosch Classixx dishwasher. 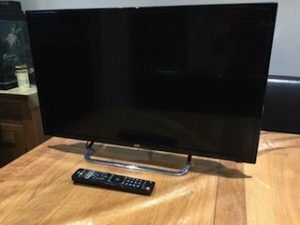 A Black flat screen JVC 32 inch smart television on a chrome stand. 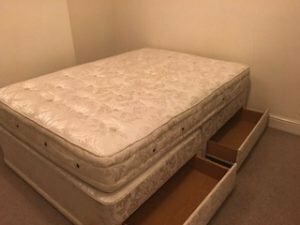 A royal crown double divan bed frame with two storage drawers, together with a matching double mattress.